Hydrates and improves the flexibility of the skin;Leaves the skin lightly perfumed. 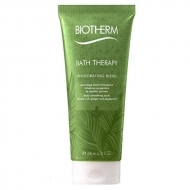 Bath Therapy Invigorating Body Moisturiser from Biotherm is a rich body moisturizer and ideal for dry skin. Enriched with shea butter and apricot oil, it quickly penetrates without any greasy effect and deeply moisturizes the skin for 48 hours. The skin is repaired and regains flexibility and shine. 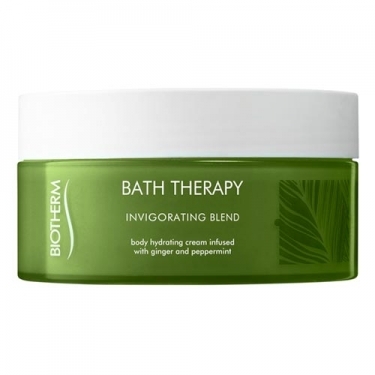 The Invigorating Blend ritual is ideal for when the fatigue is too much and the energy level is below. The infusion of invigorating ginger and mint energizes the senses and leaves the skin refreshed and lightly perfumed. Apply the body moisturizer daily on clean skin and massage throughout the body.